When you make any fruit infused water, you will inevitably have the ends of the fruit left over. 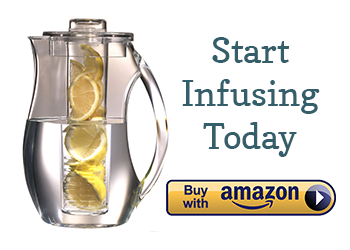 You can do two things with citrus ends: 1) give them a squeeze into the infused water mix that you are making or 2) if you are in a I-want-something-flavorful-now mood, you can squeeze them into a glass and combine with fizzy water. 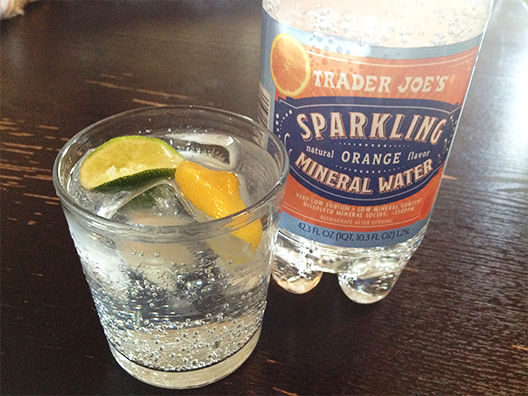 TJ’s has several flavored sparkling waters (orange, lemon, and lime). Fruit-flavored fizzy is never going to taste as good as the real thing, but adding a bit of real fruit adds zest and nutritional value. Recipe: leftover lemon, lime, or orange rinds + flavored fizzy water. For extra lemon or lime ends that would otherwise go in the trash I like to run them through my garbage disposal. It freshens things up a bit!